Football season is almost here, and Bud Light has put together something special for the fans of the eternally suffering Cleveland Browns: Cleveland Browns Victory Fridges, a bunch of custom-made, internet-connected fridges that will only open when the Browns manage to snap their winless streak (currently at 17 games and counting). It’s a fun promotion with some impressive technical effort behind it, but there’s just one problem: those fridges will never need to open. 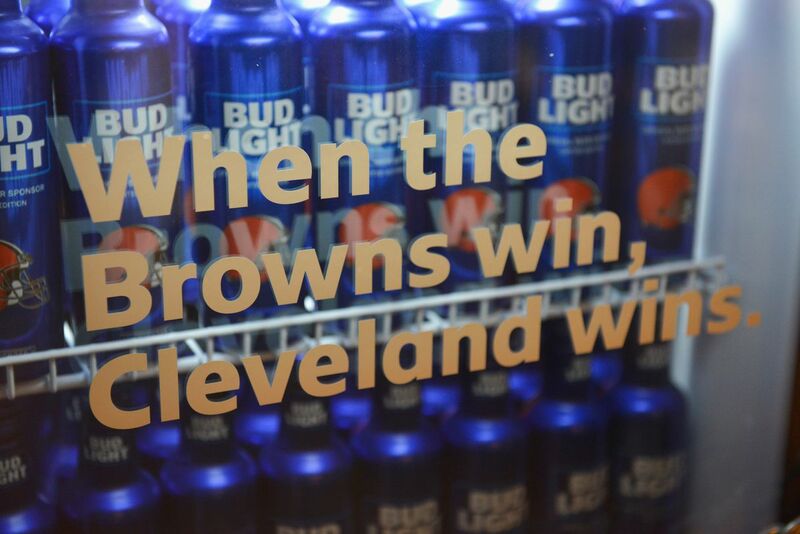 Bud Light claims that the fridges are kept shut with an elaborate locking system whereby the chains holding the doors closed (and the beer inside) are help up by an internal magnet, synced together with the other Browns Victory Fridges through Wi-Fi, similar to the company’s existing, Wi-Fi-connected Touchdown Glasses. When (if) the Browns win a game this season, all the Victory Fridges will unlock at the same time, letting fans across the city celebrate together in a technologically powered triumph. And who knows? That may even be true, although we’ll likely never find out, given that such a thing would require the Browns to win a game of football. To fully grasp the cruelty of what Bud Light is doing, you have to appreciate how bad the Browns’ current run of luck has been: in their last three seasons, the team has gone 3-13, 1-15, and 0-16. The last time the Browns won a game was on December 24th, 2016. The time before that was December 13th, 2015. The team is starting the 2018 season coming off a 17-game losing streak, which itself came off the back of a separate 17-game rut that ended with that 2016 win, only to begin the cycle anew. As SB Nation’s Jon Bois has definitively proven, the Browns live in hell. And no amount of cold beer — even ones locked away in optimistically branded Browns fridges — can quench those pains. The fridges themselves will be installed at bars around Cleveland, as well as at the Brown’s FirstEnergy Stadium. Presumably, they will likely stand there for weeks, if not years, silently taunting fans with the promise of beer that, if past history is anything to go by, they may never get to drink.